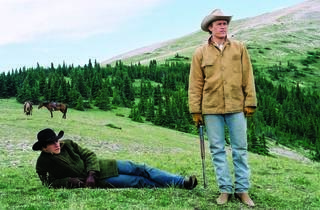 American Cinematheque and Outfest are teaming up to present this all-encompassing pre-Valentine's Day screening of Brokeback Mountain. The Oscar winner celebrates its 10th anniversary this year, but Ang Lee’s moving love story about a romance between two ranch hands (Heath Ledger and Jake Gyllenhaal) can still bring tears to your eyes. Watch their tribulations unfold against the beautiful backdrops of Wyoming and Texas on the big screen at the Egyptian.